Water Damage Restoration: How Much Does It Cost? If you notice a flood or signs of flood damage in your home, you may be tempted to save money by mopping the floors and cleaning up the mess yourself. Unfortunately, unless you are a professional, you may not be able to properly remove all traces of water and moisture from your home, and a poor cleanup job can lead to further problems such as mould growth and the spread of bacteria. 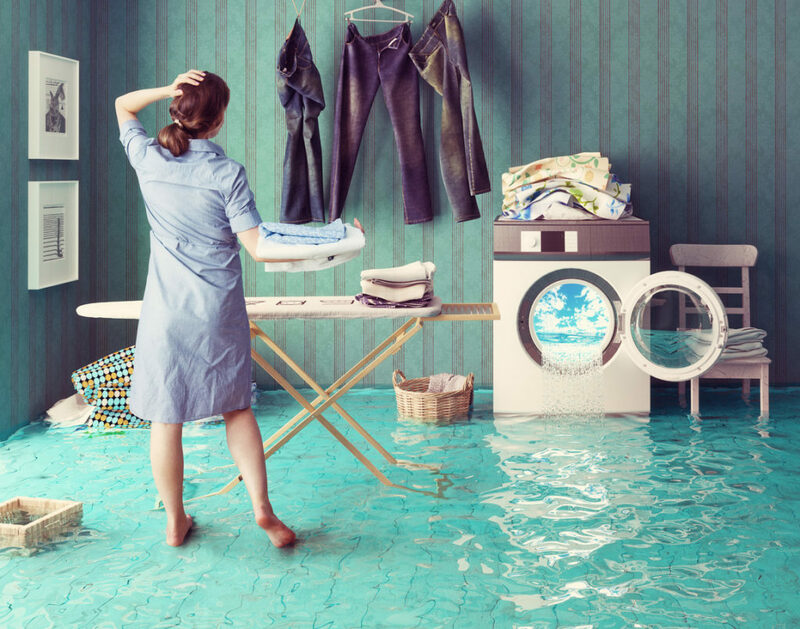 The reason why many homeowners try to avoid professional water damage restoration is the cost. Upfront it may sound like a large number but considering all the responsibilities these professionals have and the factors they must consider on the job, the flood damage restoration cost is very reasonable. If you want to know what is involved in the calculation of the average flood damage cost, keep on reading. An estimate of the cost of flood damage cleanup can range anywhere from $4.00 to $10.00 per square foot. If there is standing, harmful water, and if more materials and equipment are involved, you can expect the cost to increase significantly. Additionally, if you have carpet or a hardwood floor, the cleanup process may be more involved, therefore raising the cost of the project. Clean Water: This type of water is not dangerous to your health and typically involves burst pipes, leaky faucets and toilet leaks, rain and sprinklers, and water heaters. Grey Water: Grey water is slightly harmful to your house and can cause minor illnesses. An example of grey water includes water from washing machines and dishwashers, which contain potentially damaging harsh chemicals, soaps, and detergents. Grey water damage may cost more to clean up, as much as $6.00 to $8.00 per square foot. Black Water: This water is caused by the release of built-up sewage water or flood water. Black water is the most dangerous category of water damage and cannot be rectified without help from a professional team. This type of water damage is by far the most costly to cleanup, easily ranging between $8.00 to $10.00 per square foot, possibly even more. Another important factor that affects the cost of water damage restoration in your basement is the extent of the damage. There is a big difference between a small area in your home that has been flooded compared to a huge flood on the ground level of your home. In more severe cases, the cost to dry out water damage is much less than the cost of letting mould grow and increasing the damage and health risks. Anything that comes in contact with the flood water deteriorates quickly and will need to be repaired in a timely fashion or replaced completely. The more expensive the original material is, the more expensive it will be to replace. In most cases, hardwood is more expensive to replace than carpet. Installation time is another factor in the replacement cost. Perhaps the most damaging aspect of any basement and interior flood is the formation of mould and mildew in the home. Both form in humid or moist environments and begin to consume the organic substances found in the home. This includes wood used for supporting beams, walls, flooring, and even the ceiling. If mould is left unchecked, it will spread quickly and release millions of spores throughout your home, which can affect everyone living inside. The cost to clean up so much mould runs into the tens of thousands of dollars and in some severe cases, the entire home will need to be remediated or possibly demolished because of how severe the damage has become. If you are proactive and have the mould removed by a professional restoration company, it will cost you less in the long run than allowing this moisture and mould stay in your home. In most cases, floods in the home are unexpected. It’s understandable that you may not be financially prepared to pay hundreds or even thousands of dollars to have your basement cleaned after a flood. If you have home insurance that covers basement floods, you may be able to have most if not all of the damage covered. You should speak with your insurance agent to find out if you have suitable coverage and to begin the claims process. Although you still need to pay your deductible, insurance is often far more cost-effective than paying to repair the damage out of your own pocket. Even if your home has not yet been impacted by a flood, speak to your insurance agent about amending your policy to ensure you do not have any exclusions for water damage. That way, you will be financially prepared to deal with a flood in the event of a severe storm or a pipe leak. Water on your basement floor, a foul smell coming from downstairs, and signs of mould growth indicate that you may be dealing with a flood damage situation. Unless you are an expert yourself, it is very difficult to pinpoint all the areas that the water has affected. Working with a professional water damage restoration company is your best bet to properly inspect and remedy the situation. These professionals follow a tested plan to deal with these situations quickly and effectively. Although it may cost you more upfront, the expense is far less than the cost of leaving the situation to get worse or improperly cleaning the mess. If you need help with flooded basement cleanup or if you need a quote for the average water damage restoration cost, Flood Services Canada can help you. Our professionals can provide you with solutions, and assist you through the entire claims process, working with you and your insurance company. We deploy our quick-response teams across southern Ontario to help homeowners in a tough situation. We’re ready to provide 24/7 sewage, water damage, and flood cleanup services and will use the best techniques, personnel, and technology to ensure your home or business is clean, safe, and dry as soon as possible. Contact us at (416) 302-2107 to learn more about our services, or use our emergency hotline at (416) 999-3930 to get our rapid-response team deployed to your location.